Details: The residential villas is coming up at Tellapur in Hyderabad spread across 4.80 acre of land. 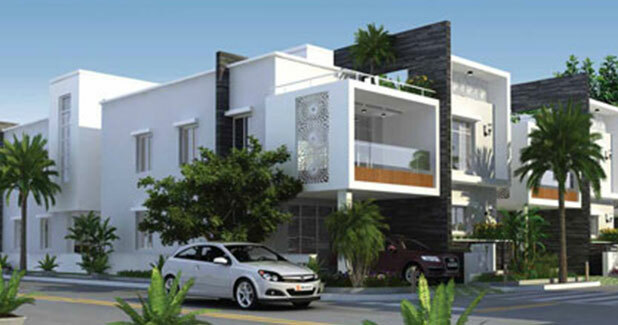 The villas offer 50 villas with G+1 storey, having 4 BHK villas. Apart from basic amenities, the villas offer CCTV camera security, entrance lobby, gated community, vastu compliant, waiting lounge, Wi-Fi connectivity, billiards, barbecue, jogging track, table tennis, landscape garden, rain water harvesting, swimming pool, etc. Panjagutta Road, Somajiguda, Hyderabad-500082, Telangana.